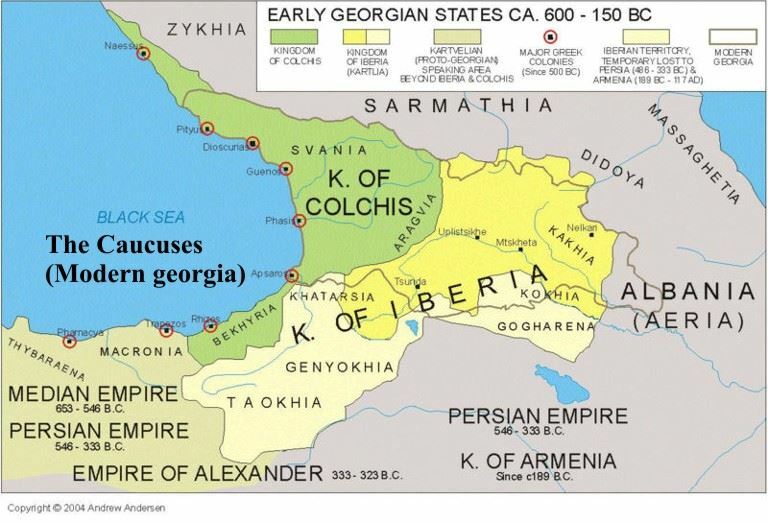 Kolchis was an ancient region on the coast of the Black Sea, centred in present-day western Georgia. Internationally, Colchis is perhaps best known for its role in Greek mythology, most notably as the destination of the Argonauts, as well as the home to Medea and the Golden fleece. The advanced economy and favorable geographic and natural conditions of the area attracted the Milesian Greeks, who colonized the Colchian coast establishing their trading posts at Phasis, Gyenos, and Sukhumi in the sixth-fifth centuries BC. It was considered "the farthest voyage" according to an ancient Greek proverbial expression, the easternmost location in that society's known world, where the sun rose. It was situated just outside the lands conquered by Alexander the Great. Phasis and Dioscurias were the splendid Greek cities dominated by the mercantile oligarchies, sometimes being troubled by the Colchians from the hinterland before seemingly, assimilating totally.